Here’s a bird you’re bound to see this month in southwestern Pennsylvania. Brown creepers live year round north and east of Pittsburgh but only come here in the winter. I saw one last week in Greenfield. 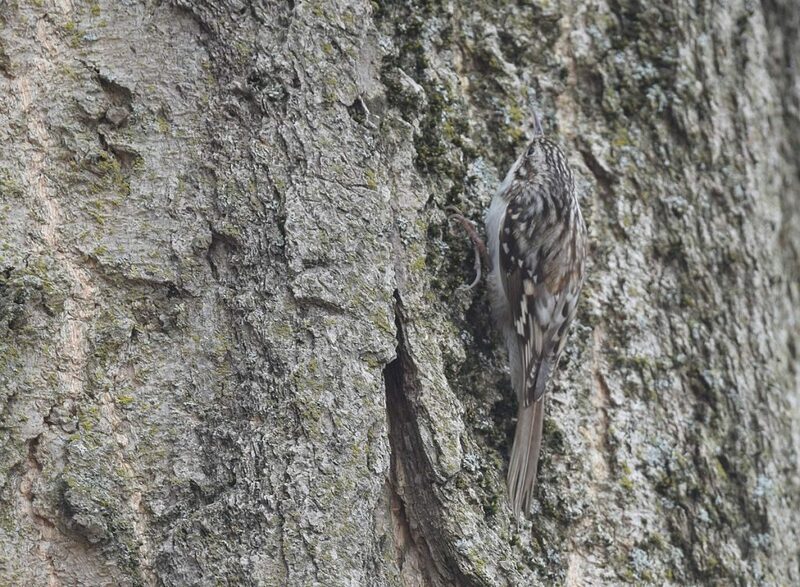 The brown creeper (Certhia americana) is a tiny brown bird with a long tail and down-curved bill. He eats insects and spiders which he gleans from the bark of large tree trunks, spiraling upward and checking under the bark as he goes. When he sits still he’s hard to see. His colors match the bark. The video below shows him spiraling upward, clinging to the bark with his large feet splayed. Sometimes he hitches sideways to grab a tidbit. When he reaches the top, he will drop like a leaf to the base of another tree trunk and start again. If you can identify birds by ear, here’s a challenge for you. List the species singing in the video. I identified five species but I’m unable hear brown creepers anymore. 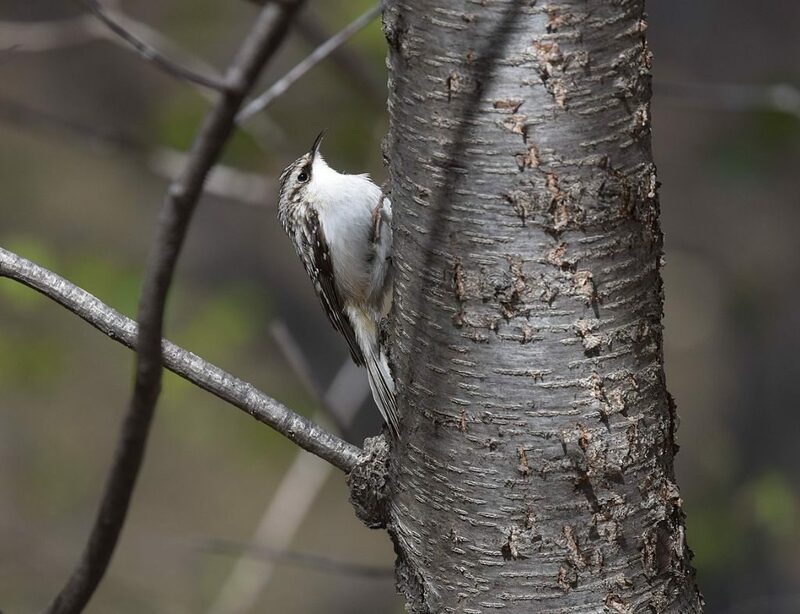 Is the brown creeper singing? p.s. At backyard feeders, brown creepers don’t eat seeds but they’ll come to suet feeders. Wow, my ear-birding skills need some practice! I hear a Robin, European Starling, Crow or Canada Goose in the far distance (with headphones on only! ), Hairy Woodpecker at the end, a zeet call at :30 and :58 that I cannot identify (best guess is the starling), and a high pitched tseet (at :03 seconds, among other places) that could be the creeper, but is a little lower and not as typical as I remember. That was quite a challenge. How’d I do?